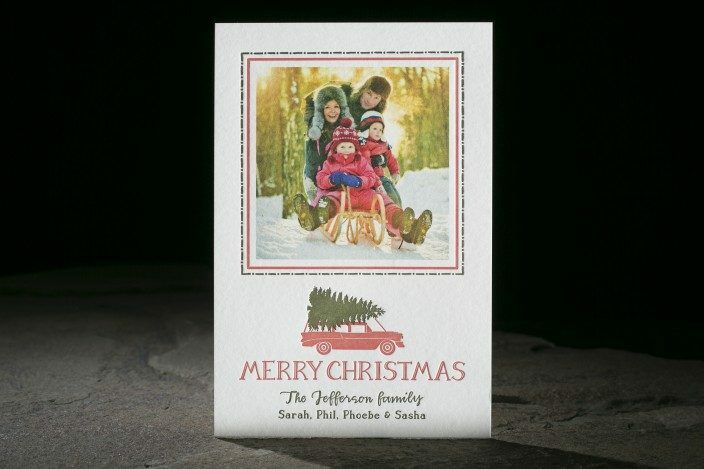 design highlights: this coral and olive letterpress holiday design features traditional colors and a retro feel. 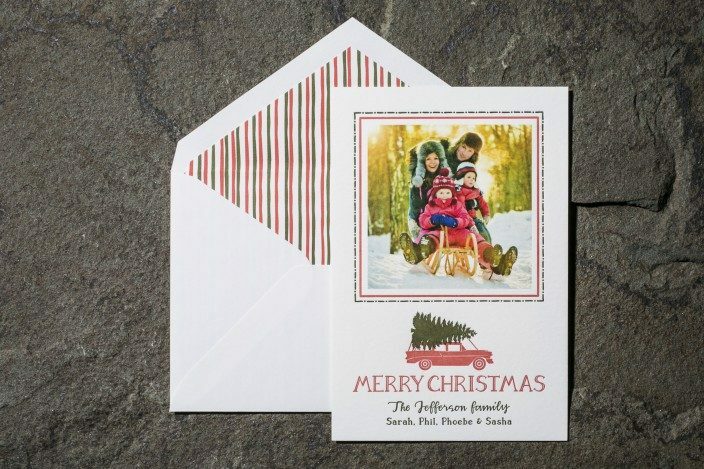 paired with a framed digitally printed photo and festive patterned envelope liners. liner: fleming pattern in coral and olive.